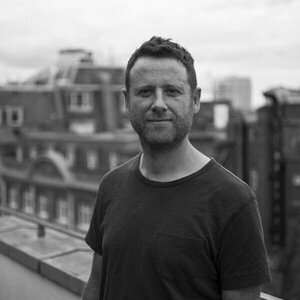 Dave Bedwood started his career as a Creative back in 1998; serving his 'apprenticeship' at several of the large ATL agencies in London: Partners BDDH, MPGM, Y&R, M&C Saatchi. In 1999 he became one of the first 'traditionally' trained Creatives to get into digital advertising. By 2001 he was Tribal DDB's Creative Director, running Volkswagen, The Guardian and British Gas. Four years of Creative Direction later and he believed the big agency network had taught him enough to risk starting his own agency. So, in 2004, alongside three Tribal DDB colleagues he set up 'Lean Mean Fighting Machine' (LMFM) with the mission to be the best digital agency in the world. That year Dave was voted into Campaign Magazine's 'Faces to Watch' as well as Campaign's 'Top Ten Creative Directors'. 2005 saw Dave win Campaign's 'Young Achievers of the Year' Award and become the number one Creative in digital advertising, as voted for by his peers (the public hated him). At LMFM Dave ran Virgin Games, Dr Pepper (Coca Cola), Strongbow (Heineken International) Signal, Flora, Domestos, (Unilever), Samsung, Google and Emirates. In 2008, Dave made The Observer's Future 500 list, Campaign's A-List, and saw LMFM become the first, and only, UK agency to win 'Interactive Agency of the Year' at Cannes. Beating a 1200 strong CP&B into second place. In some way LMFM had completed their original mission, so in 2014 they sold to M&C Saatchi. Dave went back to his roots and became Creative Director running the ATL account for Transport for London, Etihad and Virgin Holidays - whilst still keeping a pinky in the digital pie by running the digital account for Land Rover. Today Dave is Creative Partner at The & partnership where he oversees the Lexus Europe and Lexus International business.